I started with a bunch of celery from which I had taken one stalk for another dish. I had no plans for the rest of it, poor thing. I’m not a big fan of raw celery, so I decided to roast it. I cut the stalks into about 5-inch pieces, put them in a glass pie plate, drizzled with melted butter, a sprinkle of salt and pepper, and popped them in a 350 degree F oven. It took 45 minutes for those celery stalks to soften up perfectly. I sliced them into 1-inch pieces, ready for the final dish. Meanwhile, I remembered a tilapia fillet I had in the freezer. Perfect to go with the celery. I got it thawing under warm water, while I melted a little butter in a saute pan and got some flour on a plate. Well, I looked at the pale celery and the pale white fish, and though how uninteresting the combination was. What I needed was a sauce with magnificent color, flavors and textures. I looked around in the pantry and in the drawers in the fridge. Ah ha! Chinese Salted Black Beans! Perfect. I hadn’t made this sauce for about a year, but these beans keep in the fridge indefinitely. They’re fermented and salted. Pretty much indestructible. 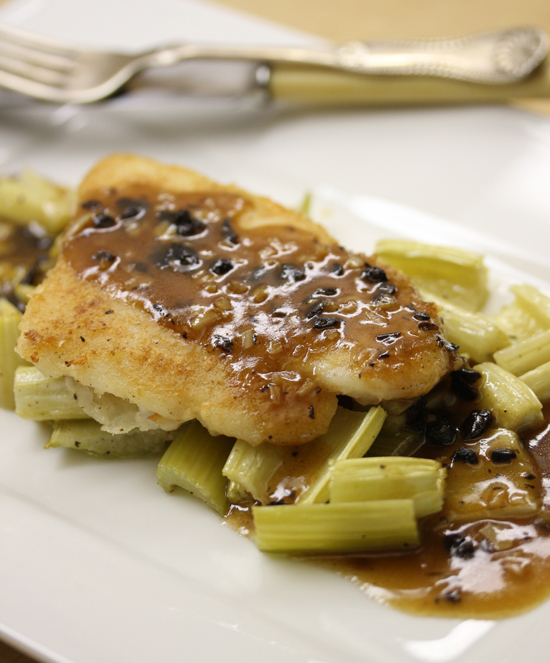 If you have just one sauce in your repertoire, this should be it. It enhances every vegetable, white meat and seafood I have tried it on. Get everything ready ahead of time to make the sauce. Chop the garlic and black beans. Mix the cornstarch and water. 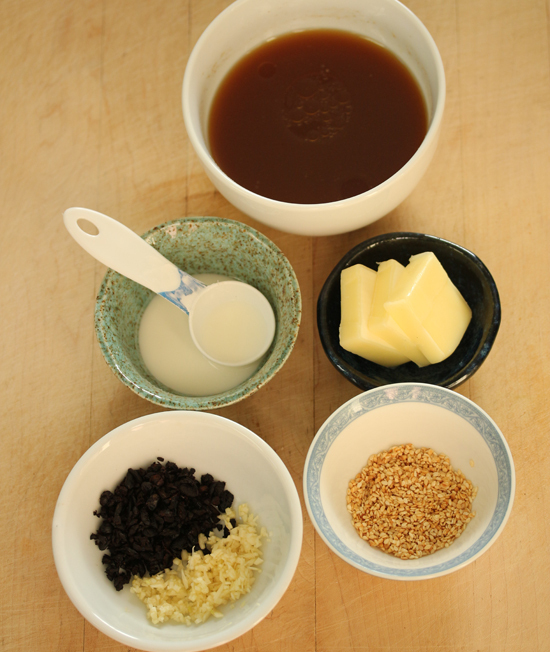 Whisk together the sauce ingredients, which include chicken broth, mirin, soy sauce, sesame oil, sugar and white pepper. Measure out butter. 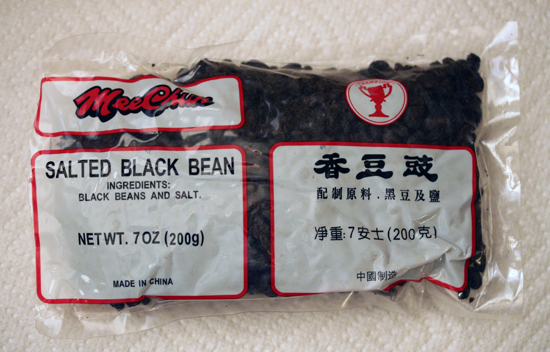 There are several brands of salted black beans, but Mee Chun is the one I like the best. I found mine at the 99 Ranch Market (store locator at bottom of home page) and they are available on Amazon. These beans add such an interesting flavor, salty, umami, a little wine-y, a little sweet. You should get some, because they are also one of the ingredients in Mapo Tofu, which will be coming up soon. Here you can see the start of the sauce as the garlic and beans sizzle in the butter. After the sauce mixture is added, the last pat of butter is stirred in for heavenly flavor and sheen. About a year ago when I made this sauce, I used it with asparagus. And sprinkled it with toasted sesame seeds. Oh man, so good. 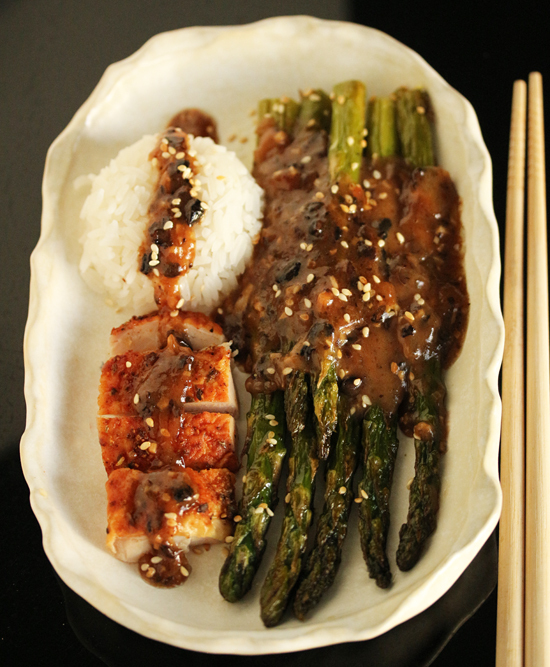 Like I said, Chinese Black Bean Butter Sauce goes beautifully with so many things. Here I packed some rice in a little bowl and upended it onto the plate, along with some deli chicken. Truly, don’t you want to pick up those chopsticks and dig right in? 1. Place black beans in small sieve and rinse under cold water. Press out excess water between paper towels. Transfer beans to cutting board and coarsely chop. 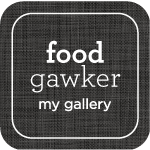 Combine minced garlic and black beans and set aside. 2. In a small bowl, combine sauce ingredients and set aside. 3. Mix cornstarch and water in separate small bowl and set aside. 4. Heat 2 tablespoons butter in 10-inch skillet over medium-high heat. 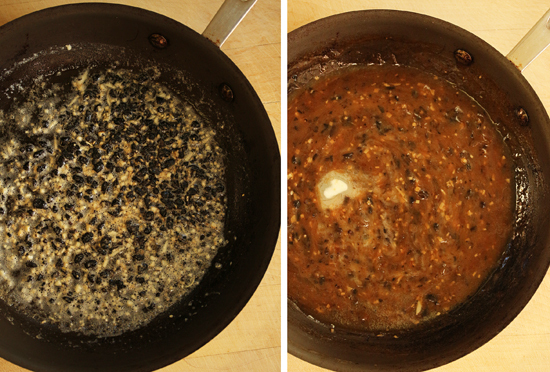 When butter begins to sizzle, add black beans and garlic. Sauté until garlic sizzles. 5. Add sauce mixture and bring to low boil. 6. Reduce heat to medium-low. Stir the cornstarch and water until thoroughly remixed. Spoon about half into sauce and stir for about 1 minute until lightly thickened. Add more cornstarch mixture if needed to achieve sauce consistency. You will not need all of cornstarch mixture, which would make it too thick. 7. Remove skillet from heat and stir in remaining tablespoon butter until absorbed by sauce. Serve immediately spooned over vegetables, rice, chicken, pork or seafood. Note: Reheat over low heat, and add additional chicken broth by tablespoon, if needed, to achieve proper consistency. I feel like I’m in a foreign country when I read your recipes—they’re so exotic and unpredictable to my plebeian palate. Thanks for expanding my mind without the LSD. P.S. 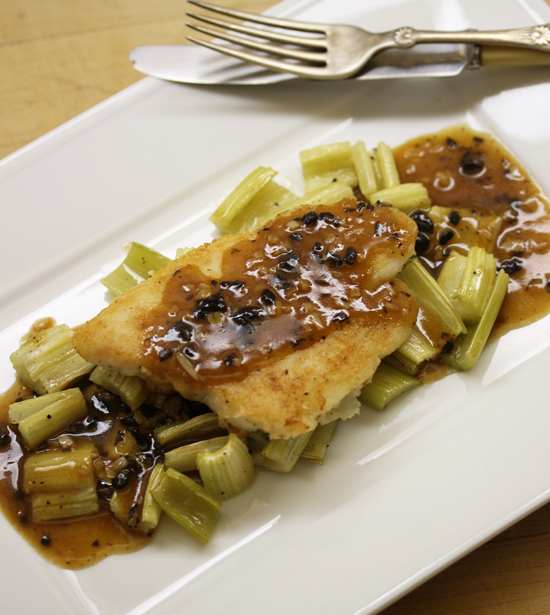 I would never think to roast celery—what a great idea! 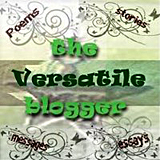 Here you go again Lynne with another great idea for taking the ordinary to extraordinary. Thanks for the creative ideas. Gotta try those salted black beans! I actually have salted black beans in my freezer and for the life of me can’t remember what I made with them except it was from my homework in culinary school. Now I know what to do with my leftover beans! I have never roasted celery either and I always have it on hand as I juice it. I have everything on hand to make this recipe, which is a rare day with most recipes. Can’t wait to try this. I thoroughly enjoy your website too. 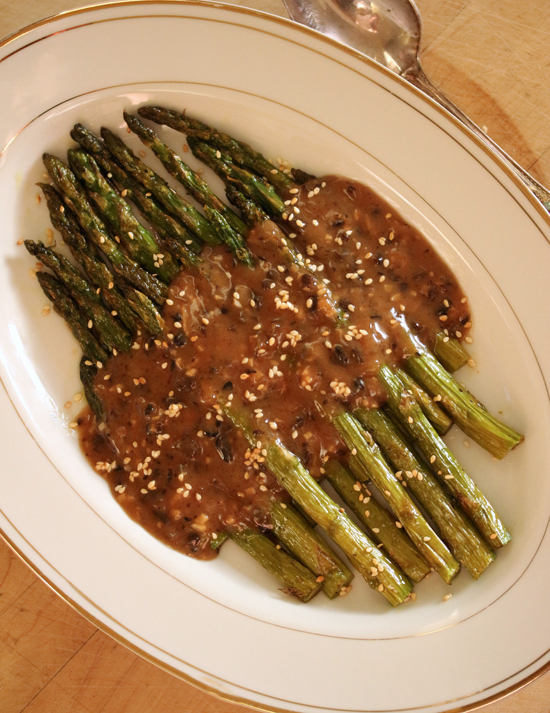 Do you think one could make this with chinese black bean sauce, chopped garlic, and butter?